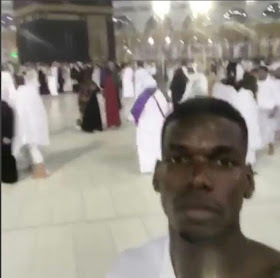 It’s the Ramadan period for the Muslim faithful and Paul Pogba, a Muslim, decided to start the fasting season by going to Mecca for the non-mandatory Umrah pilgrimage. 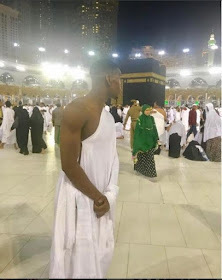 The Manchester United player took the trip to Saudi Arabia while other footballers are at their usual post-season hotspots like Las Vegas and Dubai. 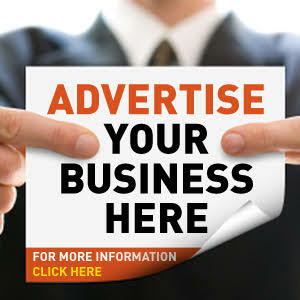 "On my way to go say thank you for this season. See you soon Manchester! En route to my prayers." He also posted a clip of him at the holy site and images with the captions "most beautiful thing I've seen in my life" and "happy Ramadan". This will not be his first visit to the Holy City. He had visited Mecca before to perform the Hajj, a journey every adult Muslim is expected to make at least once in their life. For the duration of his present visit, Pogba is expected to adhere to the religious festival of Ramadan by fasting until June 24. Below is one of the videos from his trip.